I can’t be the only person to find this business with Harper Lee a little fishy. Just like that, a manuscript turns up? After 50-odd years? As Atticus Finch might ask, cui bono? Certainly not Harper Lee herself, who has shown no hunger for fame or money thus far. And, really, can one actually misplace a manuscript? I think Hemingway once lost a suitcase containing one — but he was on the move a lot. I’d be thrilled to hear of a lost manuscript by Bruno Schulz found stuffed between floorboards in Drohobycz — but he was shot dead on the street by the Gestapo, a tragic example of someone who left his literary affairs in disarray. Sure it is possible to lose track of a manuscript, but perhaps harder when you live as quiet a life as Harper Lee has. The book is sure to sell, yet I suspect most people who loved “Mockingbird” will be disappointed. To me, its greatest interest will be literary-forensic: How does her writing look unedited? 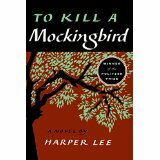 What were the elements of “Mockingbird” that were there from the start, and what came later? What was the story she thought she was trying to tell, until persuaded the real story lay elsewhere? Literature is full of such false starts, but we rarely get to read them. The speculation among Jane Austen scholars, for instance, is that “Sense and Sensibility,” “Pride and Prejudice,” or maybe both, were originally told in letters. Jane Austen’s own mention in a letter that she was chopping “Pride and Prejudice” to prepare it for publication, some 15 years after she first wrote an earlier version. How the mind reels at this! What did she take out?